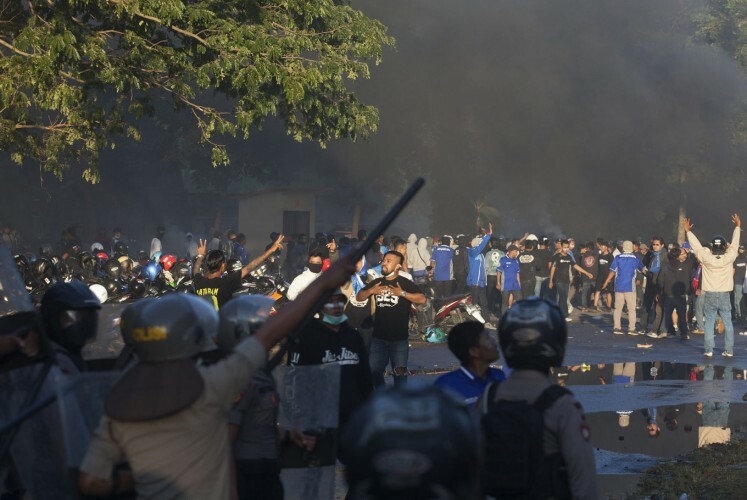 The death of Haringga Sirila has, again, put Indonesia’s soccer hooliganism in the spotlight, forcing the nation to reflect on whether it deserves soccer, a popular sport that has become a national pastime despite a dearth of achievements at the international level. The 23-year-old Persija Jakarta supporter was beaten to death by a group of Persib Bandung supporters before a high-strung soccer match between Persib and Persija at Gelora Bandung Lautan Api Stadium on Sunday. A Persib supporter who requested anonymity told The Jakarta Post that Persib supporters had asked fans who were looking to enter the stadium to show their IDs. Haringga had a Jakarta ID, so he was chased down then beaten to death. He was punched, kicked and some used tools to beat him. In a widely circulated video of the killing, Haringga is seen asking for help from those who choose to stand idly by. Haringga is by no means the first soccer fan to be killed by other soccer fans. And while Soccer Association of Indonesia (PSSI) chairman Edy Rahmayadi has vowed his death will be the last, doubts linger over whether the former military general can keep his promise. In the last six years alone, seven people have been victims of hooliganism among die-hard supporters of Persija and Persib. But the animosity is not limited to the two arch-rivals, as soccer hooliganism has long been deadly in the country. How many people have been killed by hooliganism? NGO Save Our Soccer (SOS) has recorded 70 deaths in Indonesian soccer since 1995. According to SOS data, 21 deaths of the 70, included Haringga’s, occurred at the hands of a mob. As for the remaining victims, 14 were stabbed with bladed weapons, 12 fell from vehicles, 11 were beaten with hard objects, six died in stampedes, two fell from stands, two died of tear gas, one died in a firecracker explosion and one was shot. The PSSI has recorded 95 soccer-related deaths in Indonesia since 2005, far higher than the SOS estimate. What were the major incidents? Three Persib supporters died as a result of mob violence after a match between Persija and Persib at Gelora Bung Karno Stadium. The victims were Rangga Cipta Nugraha, Lazuardi and Dani Maulana. Rangga was stabbed with an unknown weapon and, since Haringga’s death, his case has often been brought up by Persib supporters. Three teenagers were caught in a riot between the supporters of Persita and Persikota in Tangerang. Muhammad Tomi and Ahmad Hariri died and Ahmad Badrul Hikam survived the incident. They were not supporters of either team and did not wear any team apparel at the time of the incident, according to detik.com. Five Persebaya supporters died on a train heading to Bojonegoro for a match between Persibo and Persebaya. The supporters were attacked with stones in Lamongan, allegedly by supporters of local team Persela. Which groups are the most violent? Arema Malang supporters grouped under Aremania are particularly hostile toward the supporters of Persebaya Surabaya. The rivalry between Arema and Persebaya is significant because the two teams are based in East Java. Bonek, the nickname for Persebaya supporters, comes from the term bondho nekat and refers to the reckless nature of the group, which comprises youngsters who lack the funds to travel to away games yet commit to organizing themselves to make trips regardless. 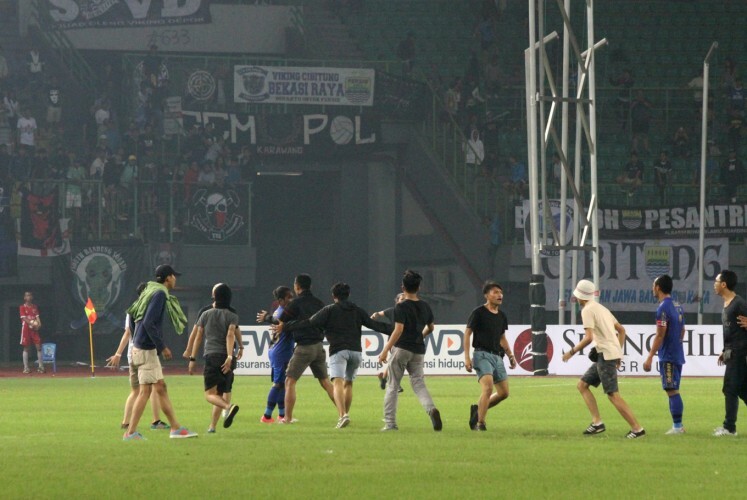 Bonek’s bad image comes from fights and small-scale lootings they often engage in when they are away, according to Pandit Football. In addition to its rivalry with Aremania, Bonek also has bad blood with Pasoepati, a group of supporters of Surakarta’s Persis Solo. Although Viking is the official name of the fan club for Persib, the team’s supporters are universally known as Bobotoh. Bobotoh come not only from Bandung but also other cities in West Java. They are known for their hostile relations with Jakmania, the supporters of Persija. Jakmania, also known as The Jak, are the die-hard supporters of Persija. 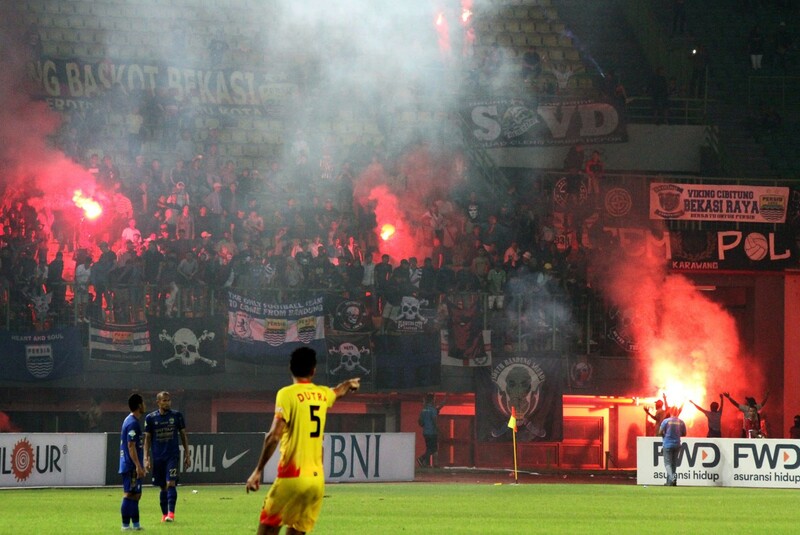 Due to animosity with Bobotoh, Jakmania is discouraged from traveling to Bandung during away games and vice versa. 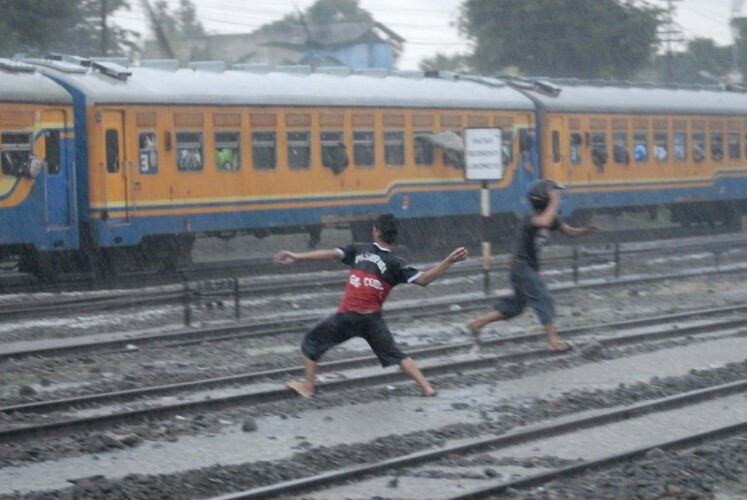 How could Indonesian soccer fans be so violent? Save Our Soccer coordinator Akmal Marhali argued that, even though the issue of fan deaths was serious, there was never any resolution from clubs, the police or the PSSI. 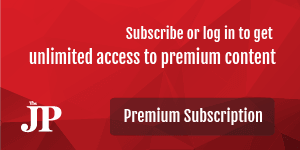 Commentators blamed the PSSI for a lack of security and said the soccer body failed to anticipate deadly incidents. Edy denied the allegation, saying the police increased the number of officers to 4,300 from 1,500 ahead of Sunday’s match in anticipation of violence. After the death of a Persita supporter in October 2017, Edy argued that the supporters were still “emotional, uneducated and immature”. In the incident, Edy’s subordinates in the military took part in the riot, as reported by tirto.id. Pandit Football writer Dex Glenniza, who holds a master of science in sports science, highlights the internalization of vicious messages in supporters’ minds. These messages can be found in stereotypes of rival group members as well as songs and chants used by the supporters. For instance, a common song for Bobotoh includes a derogatory term for Jakmania, saying that they “should be killed”. What has the PSSI done? The PSSI did nothing until Tuesday evening, when it decided to suspend all 2018 Go-Jek Liga 1 matches starting on Wednesday. It is not known how long the suspension will last, but the PSSI is expected to finish an internal investigation into the incident within five days. The PSSI will also coordinate with the Asian Football Confederation, world body FIFA and the Youth and Sports Ministry to find a solution. Previously, the Youth and Sports Ministry had given the PSSI one week to investigate the killing and ordered the soccer league to halt for two weeks. Players who are members of the Professional Soccer Players Association Indonesia (APPI) have declared that they refuse to play until a peace agreement from all supporters is made. Edy might have inadvertently made the situation worse with his offhand remark during a TV interview. When asked whether his position as the North Sumatra governor affected his work as PSSI chairman, he retorted by saying, “What business is it of yours to ask such a question?” A short clip of the interview quickly became viral, with #SiapPakEdy becoming a trending topic on Twitter. Persija star veteran Bambang Pamungkas said more had to be done to end the violence. PSSI has requested that local governments help educate fans.